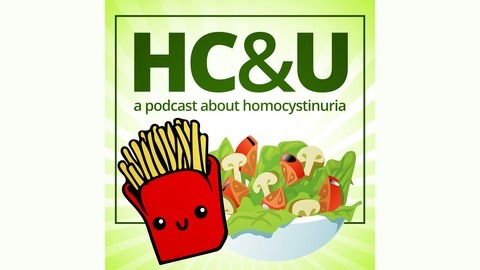 HCandU is a podcast dedicated to the metabolic disorder, homocystinuria. 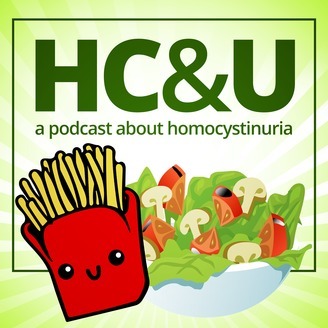 This podcast is meant to be a resource for anyone who has HCU or has been affected by HCU. Topics to be discussed on the show include patient stories, research updates, recipes, and interviews with experts in the field of homocystinuria. Whether you or someone you know were just diagnosed or have been a patient for years, we hope you find this podcast helpful! In the thirteenth episode of HC&U, we have our regular “Tell Me Something Good” segment where we share several bits of good news regarding the podcast! In this episode, we interview Frank Glavin (CEO) and Jeanie Price (Executive Director of Clinical Operations) of Orphan Technologies. We discuss OT-58 and the natural history study. We wrap up with Lindsey’s Low-Pro Bites. We discuss cauliflower curry and rate it on our random veggie scale! We hope you enjoy! **FREE SWAG ALERT** Want a FREE T-shirt? We are asking listeners to tell us something good regarding your experience with HCU! This could be anything from getting your levels down, finding a new recipe, or finding a better metabolic formula! Reach out to us using one of the methods listed below! We would love to hear from you! Plus, these shirts are pretty sweet. Oh, and did we mention? They are FREE! Please share the podcast and give us a 5 star rating and review!